Fetal surgery is a new, quickly growing, and minimally invasive method for treating a variety of congenital conditions within the womb. However, fetal surgery also carries a risk of decreased oxygenation of the fetus. This decrease in blood oxygen can be due to the congenital disease itself or could be caused by potential intraoperative complications. 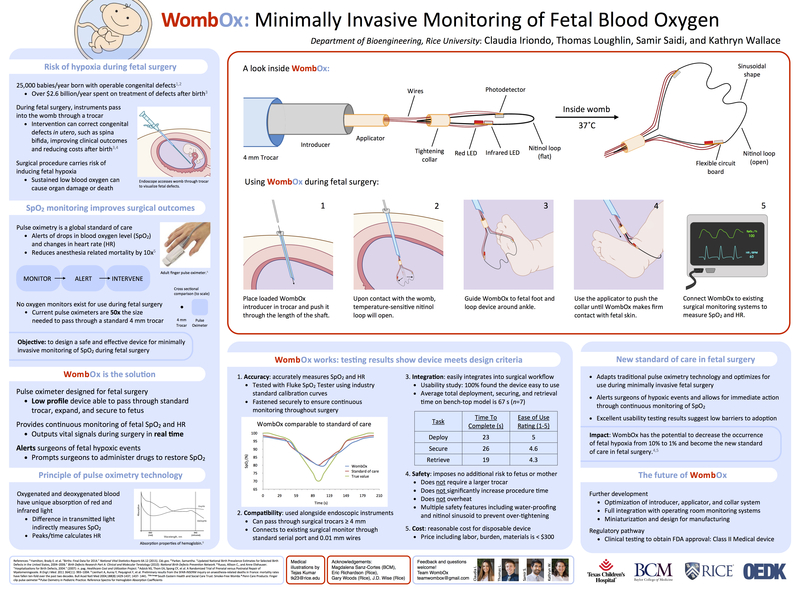 Currently no device exists to monitor fetal blood oxygenation while the fetus is still in the womb. 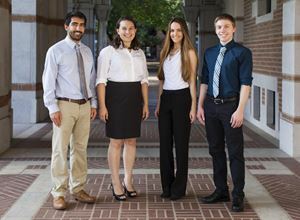 Team WombOx has designed a system to accurately monitor fetal blood oxygen during surgery that can be quickly and safely delivered and retrieved through a minimally invasive trocar. 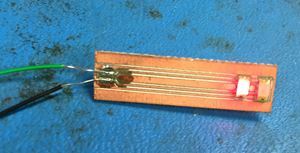 The ability to monitor intraoperative fetal blood oxygen will improve surgical outcomes. 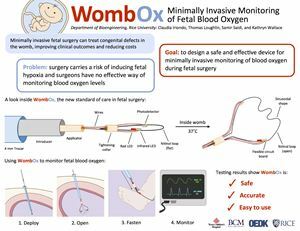 The WombOx device has the potential to become the new standard of care in fetal surgery.